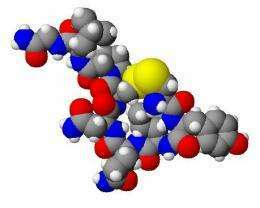 Oxytocin, a hormone linked to social bonding, has been a hot topic of study in recent years in social neuroscience research for its prosocial effects on behavior. The researchers, based at the Language Research Center at Georgia State, investigated the role of oxytocin in maintaining affiliative relationships in a resident colony of tufted capuchin monkeys. Studying oxytocin may help scientists understand the biological mechanism underpinning the tendency to live in groups and foster cooperation in social animals, including humans. Tufted capuchin monkeys, a species native to South American countries, live in large groups of related and unrelated individuals. These groups rely on a strict social hierarchy and long-term social relationships to maintain order. This study focused on the effects of two affiliative behaviors, grooming and fur-rubbing, on urinary oxytocin levels. Affiliative behaviors are actions that strengthen a positive relationship among two or more individuals in a group, reinforcing social bonds. While grooming is the main way primates maintain close social relationships, fur-rubbing is a peculiar social behavior that involves gathering in groups to frantically rub plants and pungent materials, like onions, vigorously over their bodies. The authors found oxytocin concentrations increased after subjects engaged in grooming and fur-rubbing bouts, suggesting both of these behaviors are important in maintaining social relationships in this species. "Fur-rubbing is a really intriguing behavior for us to study, because scientists haven't been able to pinpoint exactly why capuchin monkeys do it," said Meg Sosnowski, a psychology Ph.D. student at Georgia State who is among the lead authors. "Traditionally, we've thought of this behavior as having some sort of protective effect against parasites and pests, almost like an insect repellant. But that doesn't explain why the monkeys prefer to do it in a big group together. The spike in oxytocin levels that we're seeing indicates to us that it's serving a social function as well as a repellent one." "What is interesting is that despite this increase in oxytocin after a fur-rubbing bout, we found that contact and proximity to others decreased after they were done fur-rubbing," said co-author Dr. Marcela Benítez, a Georgia State post-doctoral fellow. "We think this has to do with the anxiolytic (anxiety-reducing) effects of oxytocin. They are less stressed, more calm and may not actively need to seek social contact after fur-rubbing." Although oxytocin is often associated with mother-infant bonding and monogamous pair bonds, the authors argue their findings indicate a much more general social effect of strengthening relationships in social animals and also a context-specific effects on affiliative behaviors. "These findings highlight the complexity of the interactions among oxytocin, affiliative behaviors and social bonding in primates that should continue to be explored to more fully understand its function," Dr. Benítez said. The paper titled "Urinary oxytocin in capuchin monkeys: Validation and the influence of social behavior" is published in the American Journal of Primatology.